Bauma 2016 will see the international launch of a range of new products from JCB — including the 3CX compact backhoe loader and four wheel loaders with Command Plus cabs. JCB Chief Innovation and Growth Officer Tim Burnhope said “2016 is an important year for JCB with the launch of some great new products. Bauma will be the first international outing for the 3CX compact which has just gone into production. Feedback on this machine is fantastic. 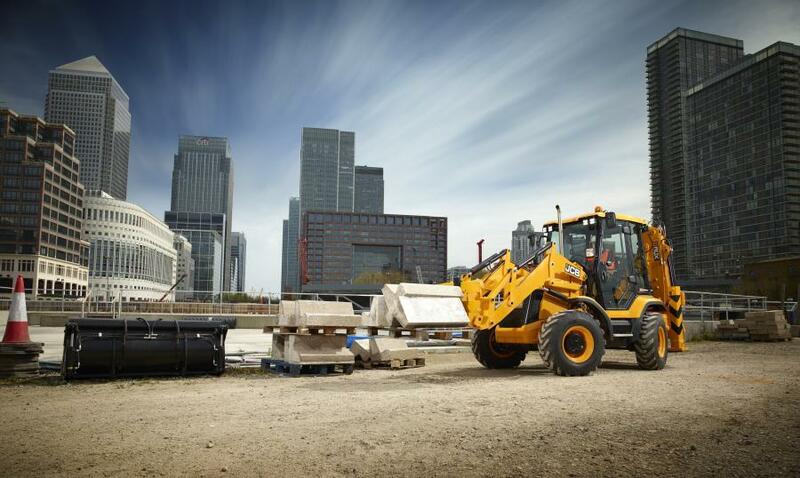 JCB launched the 3CX compact backhoe loader in September to the U.S. market. It has been designed to deliver big machine performance for confined jobsites. The 3CX compact is the perfect machine for road resurfacing and repair contractors, utilities and municipalities operating within tight spaces, according to the manufacturer. “With the 3CX compact, JCB has condensed over 60 years of backhoe loader expertise and market leadership into a machine that delivers all of the versatility, productivity and ease-of-use of the market-leading 3CX, with even more maneuverable dimensions,” Burnhope said. “Its small footprint and incredible all around visibility is perfect for working in congested urban areas, it's easy and intuitive to use, has great mobility and maneuverability and with servo controls, will suit operators of both backhoes and excavators. The 3CX compact is powered by a low emission Tier IV Final JCB Diesel by Kohler engine, delivering 74 hp. This highly efficient engine meets U.S. emissions standards without the need for a costly diesel particulate filter (DPF) or any exhaust after-treatment. JCB is upgrading its mid-size wheel loader range, introducing the proven DNA from its field-proven 457 wheel loader to the 427 and 437 models, along with the smaller 411 and 417 loaders. JCB's new 411 and 417 wheel loaders are powered by the company's EcoMax Tier IV Final compliant diesel engines, delivering 108 hp in the 411 and a powerful 125 hp in the 417. The larger 427 and 437 loaders operate with a Tier IV Final Cummins diesel engine, offering 179 hp and 183 hp respectively. In line with JCB's overall emissions policy, both of these engines meet the latest emissions standards without the use of a costly diesel particulate filter (DPF), reducing operating costs and complexity for the customer. All Tier IV Final loaders now feature a single-piece engine hood that can be electrically or manually raised to provide improved service access to the engine and cooling pack. The machines drive through automatic power shift transmissions for maximum productivity and efficiency. All four of the new wheel loaders will use the JCB CommandPlus cab, first seen last year on the larger 457. This totally new ROPS structure has B pillars that have been moved out to the same width as the rear of the cab, providing a larger interior with a panoramic front windscreen. The machines feature JCB's command driving position, with revised pedals, an adjustable steering column and seat-mounted hydraulic controls. Switches and auxiliary controls have been repositioned on the right hand B pillar, providing the operator with a simplified interior and easy access to all machine controls. The loaders have full color LCD screens that incorporate access to the loader's operating menus and act as a monitor for a rear view camera. JCB's CommandPlus Control system allows the operator to adjust auxiliary flow rates on the main screen. It also is possible to use the monitor to adjust SRS boom suspension engagement speeds where fitted, and the timing of cooling fan reversal to clean out the cooling pack cores. The screen also offers an operator help system that lists switch functions if required. The cab benefits from increased internal space, as the heating, ventilation and air conditioning system has been repositioned outside the main cab structure. This provides additional storage for the operator, both behind the seat and in pockets in the front and side consoles. The new cab, in combination with on-demand cooling fans and the Tier IV Final engines contribute to a cut in noise and vibration, reducing operator fatigue and boosting productivity. Operators benefit from a range of seat and control options, with electro-hydraulic proportional auxiliary controls now fitted as standard. An electric parking brake is standard on the 427 and 437 and available as an option on the smaller models. The exhaust silencers, and air pre-cleaners are all situated below the hood to provide maximum visibility for the operator. For more information, visit www.jcbna.com.